That picture is fantastic. Thanks for sharing! 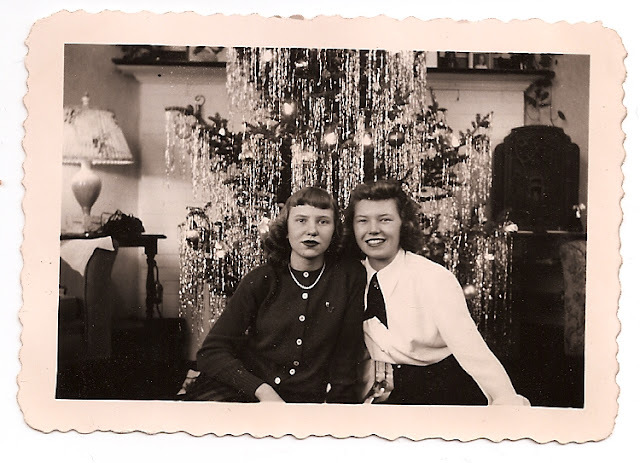 love this, the tinsel in old pictures of christmas are great, My grandparent's still use it for christmas trees! Love this picture - I want to find some old family pics out to post! This should be a Christmas card! I love it! this photo is so good! it makes me wonder if years from now our grandkids are going to be looking at our snapshots like this?! amazed at our hairstyles and nostalgic for the good ol days..